Feels good after completing a strenuous workout! 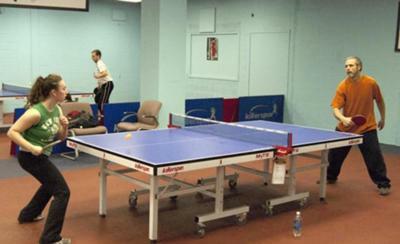 After 19 long years, the Pennsylvania State Table Tennis tournament makes its comeback. The venue will be the Trolley Car Table Tennis club in East Falls. USATT has sanctioned the event. The tournament boasts of 16 different competitions that include five state championship categories. It is open to all state residents. Philadelphia will attract hundreds of participants for the tournament. Bruce Crawley will be the tournament director. Even though the biggest star in the event World and Olympic Champ Zhang Jike was beaten by Vladimir Samsonov on the first day and Asia trailed 2-3, the Asians came back strongly to win all 5 matches on the next day to clinch the tie 7-3. 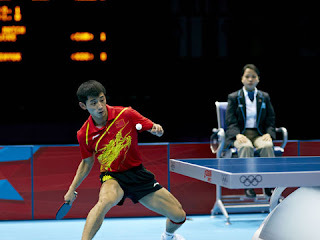 Zhang Jike showed his true class against Ovtcharov and posted a 3-0 victory. Brazil tops the seedings list in both the men's and women's team events at the Latin American championships. In the Men's section, their team boasts of the famous trio of Thiago Monteiro, Cazuo Matsumoto, and Gustavo Tsuboi. Argentina represented by Rodrigo Gilabert, Diego Temperley, Pablo Tabachnik, and Gaston Alto, who finished runner up last time, will aim at upsetting the more established Brazlians. In the Women's events, Caroline Kumahara, Ligia Silva, and Jessica Yamada will work at retaining the title. 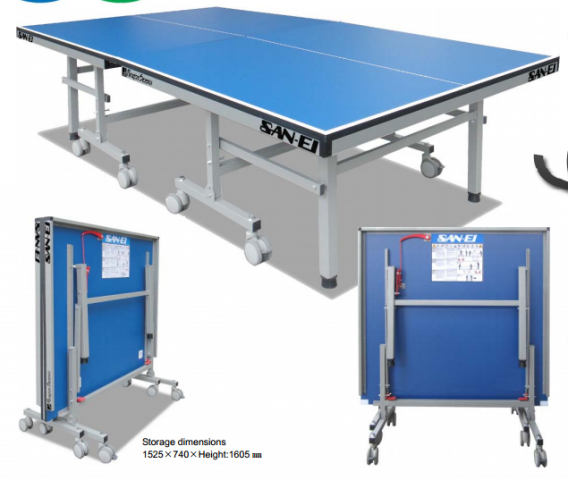 The ITTF has confirmed that San Ei, one of the leading Table Tennis table manufacturer, will be the official Table provider at the Rio de Janerio Olympic and Paralympic games of 2016. ITTF President Adham Sharara stated that San Ei's bid was the most competitive and hence it was selected. 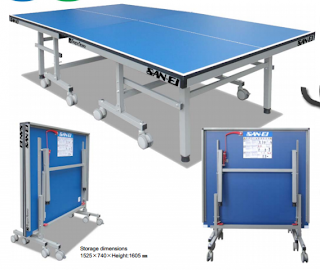 San Ei is a leading Table Tennis table manufacturer having started business in 1962. It provides equipment and services in the field of Sporting Goods, Play Equipments and Park Furniture, Fitness Equipments and Maintenance service for all these Equipments. 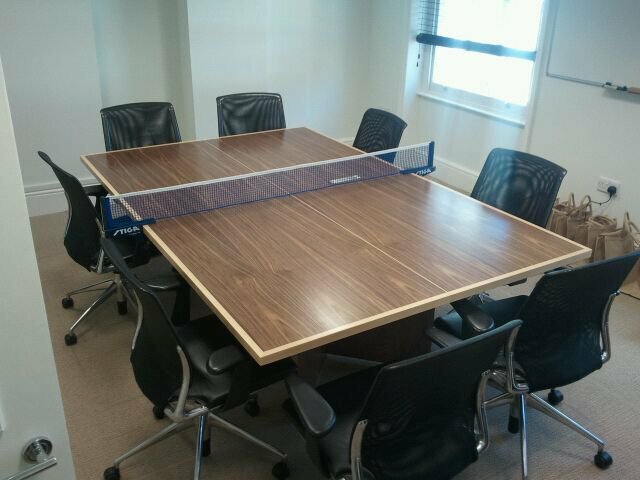 The company has supported Table Tennis in the World Table Tennis Championships and Olympic Games several times. Oxfordshire Older Chinese People Center to get Batty! 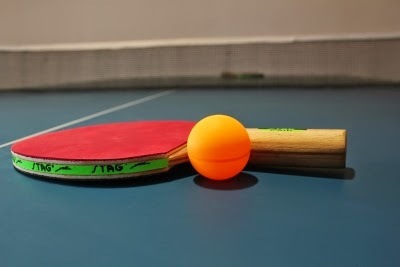 Senior members of the Oxfordshire Community Foundation (OCF) will play Table Tennis to keep fit in the winter and also make new friends. 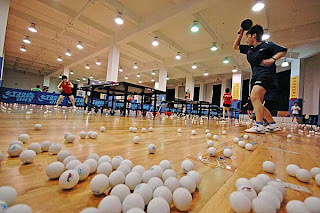 OCF is making special efforts to obtain Table Tennis sets. Chinese team to practice at Werner Schlager Academy! Ironical, but great news for the sport. 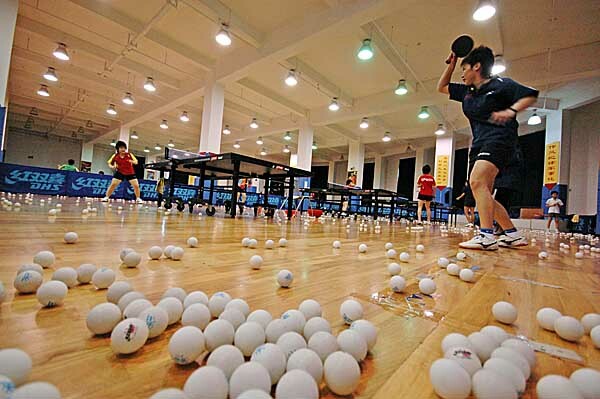 The Chinese team will train at Werner Schlager academy for the upcoming Table Tennis World Championships! 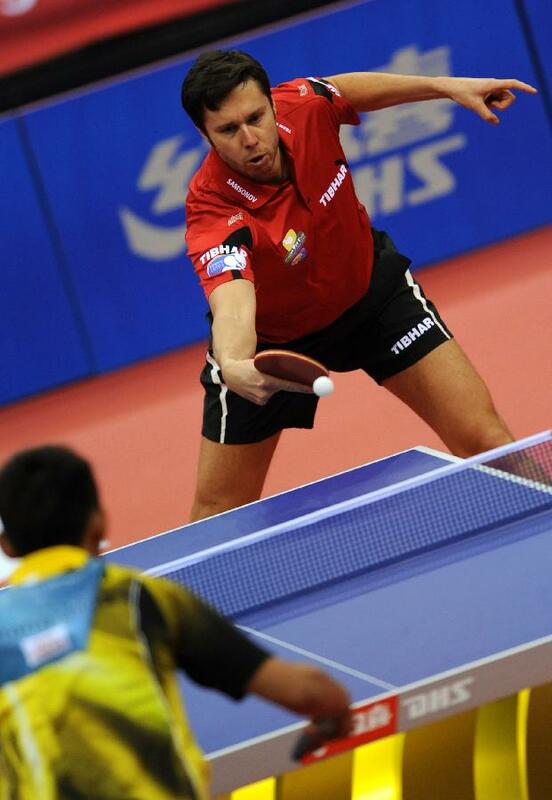 It was Schlager who put paid to Chinese title hopes at the 2003 World Championships and won the title. Chaitanya Udare, a young talented Table Tennis player putting up a decent fight against Indian International, Sharath Kamal. Sharath won 4-1. 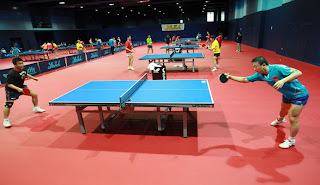 The match was played at Bengaluru in the 2012 and was a South Zone Table Tennis National level tournament. Chaitanya is a Maharashtra A player and has represented Maharashtra at the National level several times in the Senior and Junior level. He has also represented India during his sub junior playing days. Chaitanya plays near the table and matches Sharath's speed in some rallies. The AGM of Table Tennis Federation of India will be held at The Piccadily, Lucknow on 17th March 2013. The final leg of the Chinese team trials are starting. The favorites to qualify are Zhang Jike, Ma Long, and Xu Xin. But Jike suffered an injury recently. The other experienced players in the fray are Ma Lin, Chen Qi, and Wang Hao. The youngsters who will challenge experience are Yan An and Fan Zhendong.